Designed and manufactured in Barcelona, the IB7 is the most recent creation from Iberital. The Iberital IB7 design is based on an extremely dynamic, informal style. This espresso machine allows you to achieve excellence in the brewing of quality coffee and is extremely easy to use and reliable in every situation. 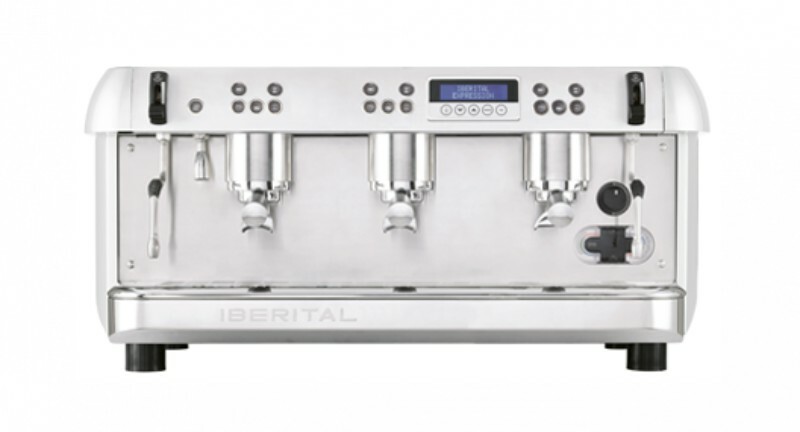 The Iberital IB7 is the perfect espresso machine for small spaces and has been designed to give you more for less! Stainless steel matte black panels are enhanced by a metallic effect that gives the Iberital IB7 a shiny, modern feel and ensures it will stand out in the crowd. 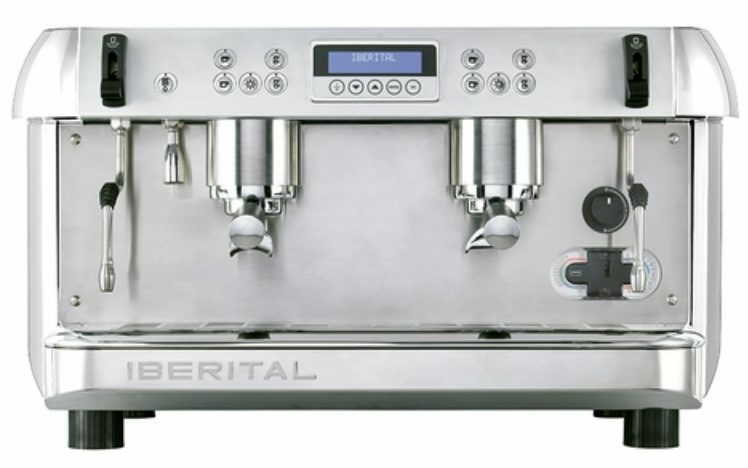 All Iberital machines are supplied with a Brita Purity C water filter to protect your espresso machine from scale. Available in a 1 group compact, 2 group compact and full size 2 and 3 group there is an Iberital IB7 for everyone. Designed for the most demanding cafes and restaurants the New Iberital espresso machines is as robust and precise as it is sophisticated and versatile. Every one of its curves exudes style and attention to detail. The digital display on the New Iberital features a readout of the temperature in the steam boiler, shot timers and many other functions. New Iberital espresso machines come equipped with the largest boilers available, 14L for the 2 group, and a huge 20L for the 3 group, these allow maximum production capacity – this machine will never let you down! 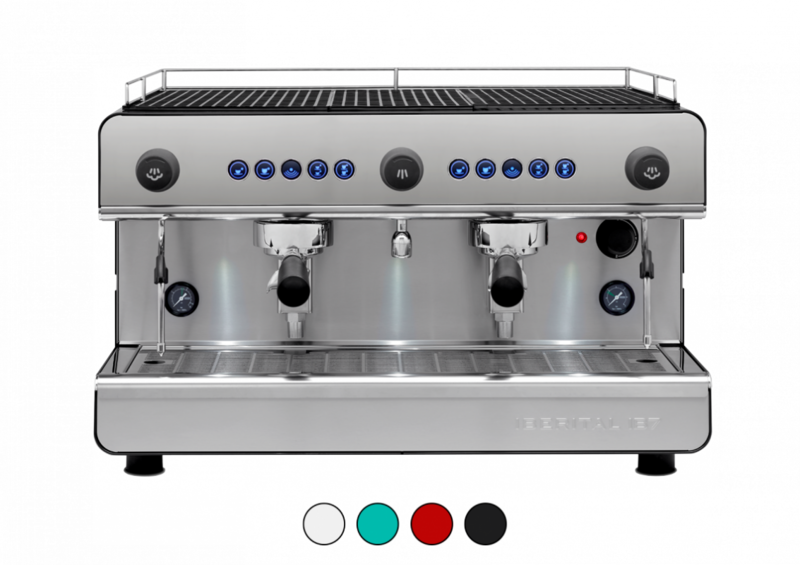 The New Iberital offers the convenience of lever action steam valves and all Iberital espresso machines feature easily removable body panels for improved access to the internals to simplify maintenance. Since 1975, Iberital espresso machines have been produced for high quality cafes and restaurants around the world. Designed and manufactured in Barcelona, the Iberital coffee machine is one that utilises the strengths of unique Catalan design to create something incredibly special. Iberital is known for producing coffee machines that are are dynamic and versatile, and can easily fit into the system of a small café or a large restaurant that caters to hundreds of people each day. 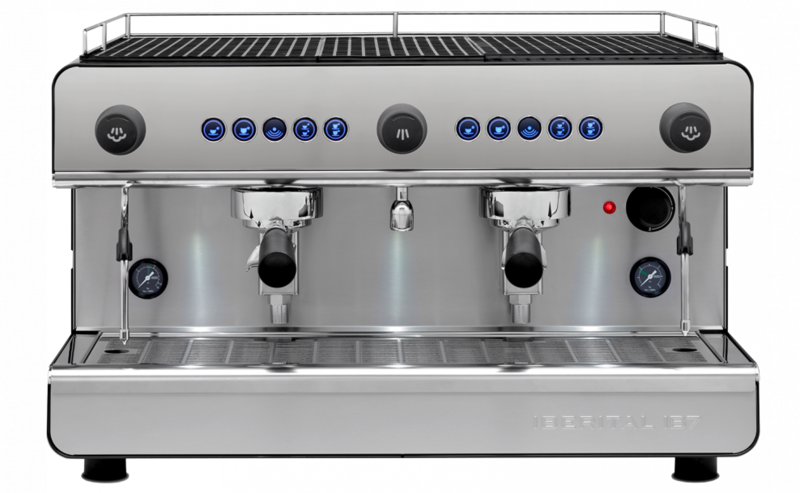 Sophisticated and innovative, the Iberital espresso machine has earned a global reputation for being adaptable and highly reliable. As a trusted partner for cafes and restaurants across Australia, Xtracted Espresso Solutions has a profound understanding of the needs of baristas around the country. We believe that to have a healthy relationship with cafes who use our machines, we have to provide ongoing communication regarding our brands. Therefore, if your café or restaurant utilises a La Marzocco, Fiamma machine, Slayer, or the Iberital itself, we are here to provide ongoing support, training and servicing for our machines.